M93 is an open cluster of stars located within the Puppis constellation. This is a small but bright cluster with a visual magnitude of 6. Its visual appearance has been said to resemble that of a butterfly. Some have even identified it with a starfish. 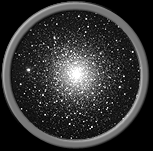 The cluster contains about 80 stars scattered over a distance of around 25 light-years. The brightest of these stars are blue giants. M93 is believed to be located some 3,600 light-years from Earth. Its can easily be seen with a pair of binoculars. 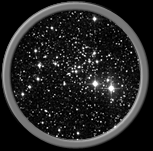 A small telescope will reveal more of the clusters fainter stars. In the constellation of Leo, the lion, can be found an interesting spiral galaxy known as M94. 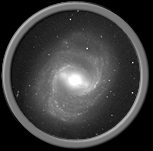 This galaxy has an extremely bright inner region, surrounded by a ring of active star-forming regions. Color photographs of the galaxy reveals the blue colors of these young stars. 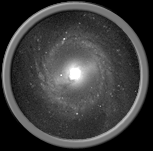 Another region of moderate star formation is also visible. The distance of this galaxy is not well known, but best estimates place it at about 15 million light-years from us. With a magnitude of 8.2, it can be found with binoculars. 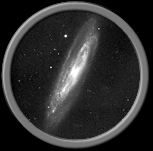 Telescopes will reveal much more detail in this galaxy. 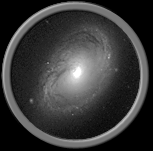 Yet another galaxy to be seen in the constellation of Leo is M96. 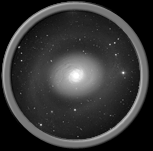 It is the brightest member of the M96 group of galaxies, with a visual magnitude of 9.2. 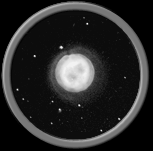 This object is located about 38 million light-years from Earth and has a diameter of around 100,000 light-years. 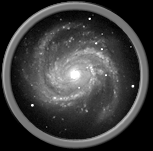 Visually it has a bright inner disk composed of old yellow stars surrounded by blue knots of young stars. It is inclined about 35 degrees to our line of sight, which gives it a slightly elongated appearance. 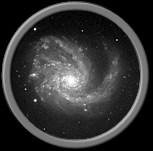 Although it can be spotted with binoculars on a good night, a telescope is required to see any real detail in this galaxy.